Swani Spice, a family owned enterprise, owes its legacy to the parent company Surn Singh Lachhman Singh established in 1864. Hundred and Fifty Years and seven generations later the Swani Family is still in the business of Spices. With an unwavering commitment to quality and service, each generation has contributed to modernizing the approach, technically and qualitatively, taking the business beyond ever widening horizons…. The Swani Group celebrated its Sesquicentennial Year (150 years) in 2014. The mantra of Swani Spice since inception has been consistent adherence to Vintage Values, Tomorrow’s Technology & Global Presence. SWANI wants to be a Solution Provider for Spices, Flavours & Blends enhancing the taste of food through better and safe farming, production & processes. 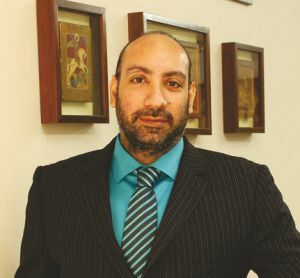 The 5th generation Patriarch of the Swani Group took charge of the family business at the tender age of 14. He developed this business along with 4 additional (non food) industries before returning completely to the food business, his first love and area of core competence. A visionary patron of new ideas and expansion, his vision is backed by rich industry knowledge and wisdom of over 65 years. He is the voice of experience at Swani. An ardent student of modern day global economics, he is the planning veteran. The 6th generation Steward responsible for present day management is a qualified Engineer peppered with 40 years of spice experience, technological implementations and market scenarios. 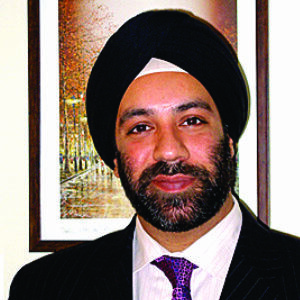 He is responsible for making Swani Spice a very dependable and trustworthy name in the industry that it is today. He authors one of the most looked forward to “Market Report” hosted regularly on www.swanispice.com. 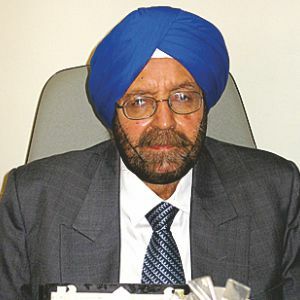 He was a Member of The Spices Board for two consecutive Terms (6 years) under the Chairmanship of Shri Nand Kumar in the period between 1980 – 1990, thereafter he was appointed Chairman of the ISFEA (2008 – 2011). He is an engineer in Industrial Production & Management. Harjiv’ s technological passion has led him to implement Projects for Plant Designs, Mechanics, Process Automation and Technology successfully. His passion keeps Swani Spice way ahead in the processing space. While moving from a family run to a professionally managed company, he has successfully implemented an ERP system to meet the ever rapidly growing needs of the company. The process set up and seamless integration of numerous units, is his area of responsibility and expertise. His focus area is research and looking out for new technologies in flavor and colour retention, the true essence of spice. Automation using latest technology, New Projects & Expansion and ensuring the plants commitment to Swani’s Sustainable journey are some of the key areas of operation under Harjiv’ s watch. His excellence led him and his team to become Certified Lead Auditors by DNV for BRC (British Retail Consortium) in 2014. His Team implements and maintains all the various certifications of the company. An MBA in International Business & Marketing from Sydney with a strong commercial background, he looks after Client relations (International & Domestic) and all commercial related activities. Parneet spearheaded the innovative backward integration activities 9 years ago with active participation from farmers. This is gaining immense relevance and momentum with today’s ever changing statutory requirements. He addressed the World Spice Congress in 2008 sharing some ground realities faced by the farmers which was an eye-opener for the trade at large. Believing that Tomorrow’s Technology cannot be limited to the confines of prevalent manufacturing practices, he is pushing to narrow the gap between Lab and Land where the former is on an advanced mega-highway and the latter is yet to implement Good Agricultural Practices. Bridging this gap and creating a new farming technology based on sustainable agriculture is an un-matched passion with Parneet, who with his team has successfully and sustainably farmed more than 4500 Tons of Spice in the 2015 harvest, which has been certified by Rain Forest Alliance. With an astute sense of taste and passion for sourcing, Parneet leads the R&D / NPD section of the business. Every member of the management team has taken on the individual responsibility to align the specific sweet spots of their aspirations and display an unparalleled passion for excellence, with a desire to leave their footprint not only in their business but also in the industry. 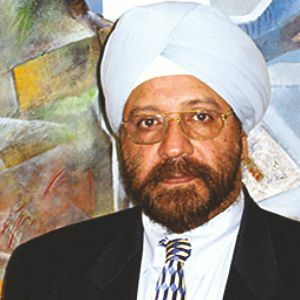 Kuldip Singh Swani & Co.